Spencers Solicitors | Bikers – do you have what it takes? As the Manager of Spencers’ Complex Injury team I am often faced with cases involving motorcyclists. Frighteningly, bikers are a staggering 38 times more likely to be killed in a road traffic accident than those in a car and although bikers only account for approximately 1% of traffic on the road, they account for 19% of all road user deaths. 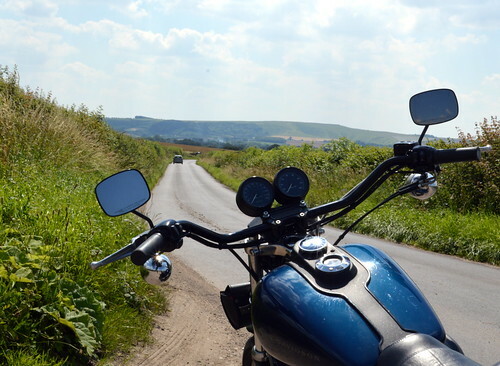 Although personal injury claims can often be emotive and challenging in different ways, motorcycling accidents are particularly close to my heart. Working in the Peak District the long, winding roads and beautiful countryside attract many bikers. Over the Bank Holiday weekend it's difficult to move in the local town of Matlock for the number of bikers who congregate. My husband is amongst them and I thoroughly enjoy riding on the back of his bike on lovely a summer's day through the Derbyshire countryside. One of the things I certainly don't enjoy is witnessing bikers take unnecessary risks by not wearing protective clothing. I regularly see bikers wearing short sleeved shirts, trainers and shorts and this really infuriates me. During my many years working with personal injury claims, I have seen some horrendous motorcycle injuries, some of which could have been reduced (or in some cases avoided completely) simply by wearing the right protective equipment. Driving safely is of the utmost importance but accidents are often caused through no fault of the biker. Unfortunately it is rare in a motorcycling accident for the biker to avoid injury completely and wearing the right safety equipment could make the difference between a minor injury and a serious or worse still, a fatal one. According to statistics published by Transport of London almost half of all motorcycle accident hospital admissions have serious injuries to their legs or hips and over a third to their arms and shoulders, some of which could have been avoided by wearing better protection. • Helmets sold within the UK must satisfy either British Safety Standard 6658: 1985 or ECE Regulation 22.05 standards so always make sure any helmet you purchase has a label confirming this. For more information the SHARP rating system can provide advice, visit sharp.direct.gov.uk/. • Your helmet needs to be snug, if it wobbles around on your head it is going to do so on impact so make sure you buy the right fit. • Don't guess the size. Have your head measured and choose the right sized helmet. I would suggest trying on several helmets before making a choice. • When trying on the helmet make sure you fasten the chin strap. You should be able to fit 2 fingers between your chin and the strap but no more. • Move your head around in the helmet to make sure it is secure. When you move the helmet from side to side, your cheeks should move with it and your head should not slide around inside the helmet. • Tilt the helmet backwards and forwards. Again there should be no sliding motion inside the helmet and your head should move with it. • Your helmet should feel snug but there should be no pressure points as this will make the helmet too tight. • Don't just choose a helmet because you like the look of it, safety is more important that fashion. However you should choose bright colours where possible to maximise visibility. • Ask sales staff for advice on fit, but be aware that they may be trying to sell you a more expensive helmet than you need. A good standard helmet doesn't need to cost the earth and spending more money does not necessarily mean you're getting better quality. • I would suggest never buying a second hand helmet. You cannot guarantee whether it has been involved in a previous accident, despite its appearance and you could be buying something that offers little or no protection. • Always ensure your helmet is stored safely when you are not using it and isn't somewhere it can be knocked off or damaged. If your helmet does receive a knock, you cannot be sure what damage has been done and you should no longer use it. • Motorcycle accidents, even at low speeds can cause severe injury to your skin if not properly protected. Tarmac can easily rip unsuitable clothing and the skin underneath so it is essential that no part of your body is exposed. • There are a number of different products on the market in many different materials. 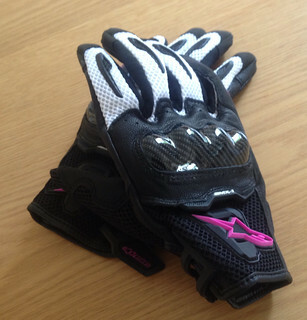 Leather clothing designed especially for bikers provides excellent protection but is not the only choice on the market. It can be off-putting to go out on a hot sunny day when your only clothing choice is to be covered head to toe in leather. • Fabric jackets can offer the same protection as leather but with breathable material or mesh panels to allow you to stay cool. • Many jackets also offer removable lining on hot days but equally can be inserted for winter rides. Warmer material such as Gore-Tex jackets are also available for colder days. • Fabric trousers are available which are fitted with armour to provide the same protection as leather trousers. Armoured jeans are becoming increasingly popular. These look like regular jeans so enable you to arrive safely at your destination and then walk around without anyone knowing you have just got off your bike. • Whichever option you choose, you must ensure that all areas of your body are covered to avoid serious skin damage should you have an accident. • Your hands or feet are likely to be the first thing that makes impact with the ground, should you come off your motorcycle so it is essential to ensure they are covered. • Gloves don't need to be bulky but you need to ensure they offer good protection around the knuckles and fit snugly around your wrist with strapping such as Velcro. • A broken ankle can be avoided through the use of a good pair of motorcycle boots. Ensure they fit snugly but aren't too tight and cut off circulation. You want to have a comfy ride. 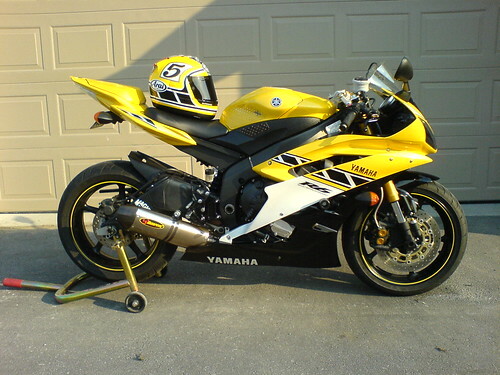 • Avoid buying boots that do not offer sufficient protection for coming off a motorcycle. Just because they seem sturdy, if they are not specifically approved for motorcyclists, they are unlikely to stand up to impact with hard tarmac. So you have all the right gear, what else should you consider? Back and chest protectors are more and more popular with bikers. They absorb energy from impact and help prevent damage to your spine, ribs and internal organs. Ensure you have the right size for you and that it is fitted by a reputable sales person. An ill-fitting back protector could cause further damage. Be bright, be seen. Even if you don't want to buy a bright orange helmet or jacket, ensure that you are clearly visible by wearing reflective strips or over-vests. This is obviously more important if riding in the dark, but it amazes me how many car drivers just "didn't see them coming" when it comes to bikers, so be as conspicuous as possible at all times of the day. Don't skimp on protective clothing. It does not have to be expensive to be safe. If you have the equipment use it! Don't think that just because you are only nipping down the road on your bike that you don't need it. Your injuries may be just as severe 5 minutes away from home as 5 hours. Motorcycling is a fantastic pastime but accidents are sometimes unavoidable. By making sure you are wearing the correct safety equipment, you could help limit the injuries you suffer in an accident, allowing you to be back on your bike in no time.